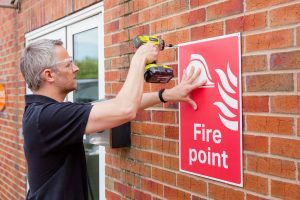 Health and Safety Signs to meet current legislation using the highest quality materials made by professional sign makers. 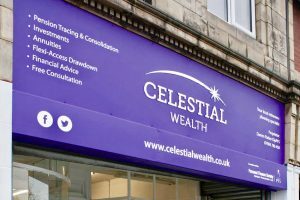 Since we can advise on design, print and manufacture your signs to reflect your brand image, you are only a call away from building your brand with beautiful internal signage. Create a fantastic first impression for your customers with an outdoor business sign from Andrews Signs and Engravers! 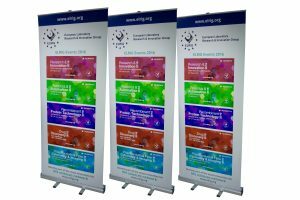 From Portable banner stands to pop up displays, right through to modular display systems and exhibition signs and accessories, let us help you stand out. 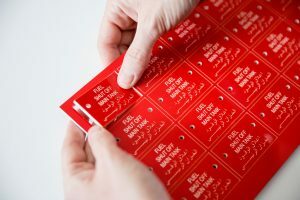 We produce all types of labels and stickers, any shape, size, colour or quantity. 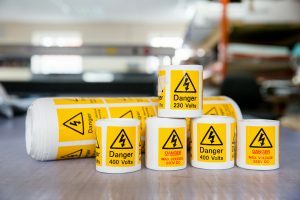 From Pat Test labels to Well Done stickers for teachers. Ring with your bespoke label requirement. 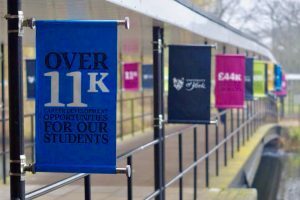 Advertise your business and achievements in an easy and cost effective way with a bespoke banner, any size, any print. 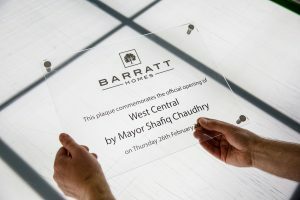 Our specialist engravers have many years experience in creating beautiful brass, perspex, anodised silver and gold plaques for all occasions. Transform windows into full colour advertising spaces without reducing visibility. From frosted window design to seasonal and sale advertising. 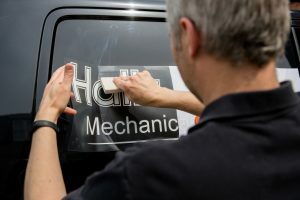 Vehicle Graphics are a perfect yet simple marketing opportunity, from simple graphics and logos, or magnetic panels to full vehicle wraps, from a single van to a fleet of vans get in touch with your requirements. Browse our online trophy catalogs and choose from a huge variety of silver and glassware. We can engrave your chosen product with your own personalised text. From engraved electrical switches to bespoke instrumentation panels. We can custom engrave to your requirements. 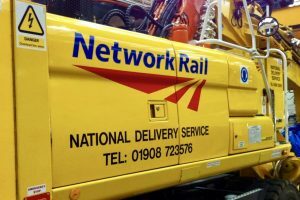 Andrews Signs specialise in the design and manufacture of all types of signage to the highest specifications. 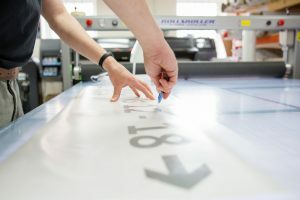 Whatever your sign requirements from one-off vinyl labels to multiple engraved electrical labels, from simple banners to shop fascias, we will provide you with a friendly reliable service within the shortest of lead times. 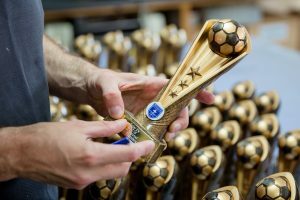 In addition, our on site engravers have many years experience in creating beautiful brass, perspex, anodised silver, as well as gold plaques for all occasions. You are just a call away from our friendly and reliable service, so for a free, no-obligation quotation or just to chat through your requirements call: 01904 400800. Or alternatively, drop us an email on sales@andrewssigns.co.uk. What kind of signs do you make? As a manufacturer we make all types of signs here on site. We continue to invest in all the latest printing and engraving machinery so call with your requirement we are ready to help. Do you offer an in-house design service? Our graphic design team are happy to help. Call or e-mail your requirements over and we’ll let you know the cost and provide a proof for you perusal. Absolutely, we accept artwork in several different formats including .ai, .pdf and .eps, but for further advice why not call our in-house design team on 01904 400800. What size can you print up to? We continue to invest in all the latest machinery including wide format printers, call or e-mail us with your requirements. We have over 25 years experience designing, producing and fitting quality signs. A young, enthusiastic team of artworkers, signmakers and support staff are always here to help. Always helpful, cheery and on hand to guide you through procurement. Be it a one-off or mass production. If you would like to discuss your requirements, please call us on 01904 400 800. Our friendly staff are on hand to help and advise. Alternatively, you can also email us if you would prefer.